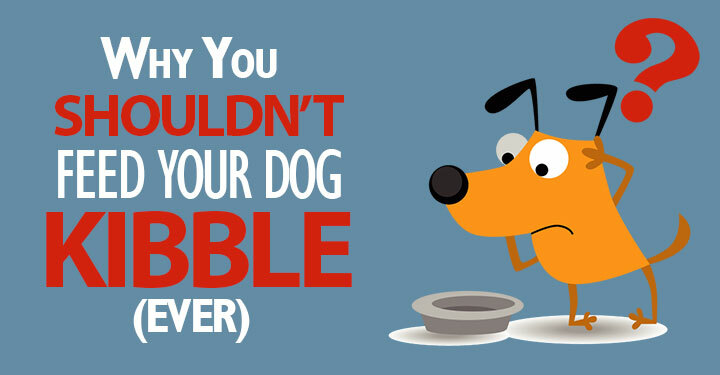 … and it’s hiding in your dog’s food. This well-known weed-killer can cause cancer, infertility, brain disorders and heart disease! Glyphosate, also known as “glypho-Satan”, is the most popular herbicide in the world. The United States leads the world for highest use, spreading about 100 million pounds on lawns and farms every year. It’s in more than 700 agriculture, forestry and home products (including the well-known weed-killer Roundup). This means it’s almost impossible to avoid glyphosate exposure and its alarming impact on you, your animals and all life forms. When it was released, big marketing blasts promoted glyphosate as a powerful standalone weed-killer or combined with genetically modified crops as the perfect team for improved crop yields. The marketing promo didn’t match reality as yields haven’t increased. So the deeper question is: why would anyone use these products if the yield didn’t increase? The weed-killer euphemism is really language used to justify its use to kill any unwanted plant forms. Having “unwanted plants” in between endless rows of corn, soy, wheat and other crops that would otherwise compete for nutrients makes them “unwanted weeds.” Here’s where the war starts. Then glyphosate became available as Roundup, allowing you, Joe Gardener, to “control” any bothersome plant life in your garden, public parks, and the like, increasing your, and your animals’, exposure to this toxicant. Even more dangerous is the combo-wombo with 2,4-D (aka Agent Orange, the carcinogenic defoliant of the Vietnam war) known as Enlist Duo that’s sprayed on genetically modified crops including soy, corn and cotton. Another area of massive use in our environment is as a desiccant for crops like wheat, insuring all parts of the crop are ready for harvest at one time, making for more efficiency. Could this be part of the cause of the current epidemic of gluten intolerance? Perhaps it’s really glyphosate intolerance? What all of this means for you and your animals is this: any wheat, genetically modified crop, cotton or animal product (meat, bones, milk, cheese) will have glyphosate contamination. Ugh! Glyphosate kills everything! … not just weeds but also beneficial insects, microbes and fungi. Kills plants by stopping a specific enzyme pathway known as the shikimic acid pathway or the shikamate pathway thus preventing them from making certain proteins needed for plant growth. Chelates (bonds with) minerals like zinc, magnesium, cobalt, copper and calcium … stopping the plants from absorbing these minerals from the soil – starving the plants, killing them. Blocks major detox pathways in the liver, preventing the body from detoxing. Not only does it block the detox of the glyphosate and its companion toxicants, it lowers the ability for the body to detox anything at all! Ugh! … so it’s not a coincidence that harmful bacteria like botulism (Clostridium botulinum) are increasing on America’s farms, in the farmers themselves and in their animals. This death of friendly bacteria also makes way for stronger, developing species of pathogenic Salmonella bacteria. Glyphosate and genetically modified organisms (GMOs) go hand-in-hand. About 80% of the world’s GMO crops are adapted to be glyphosate-resistant, called Roundup-Ready, allowing them to survive while all other plants around them die. About 80% of the world’s GMO crops are adapted to be glyphosate-resistant, called Roundup-Ready, allowing them to survive while all other plants around them die. Another addition to the Roundup formula is a surfactant agent, which increases its adhesion to the plant and meaning it can’t be washed off. The surfactant has been estimated to make Roundup about 1000 times more toxic. Residual estimate (the amount of time it stays in the soil) is somewhere between 23 to 25 years. Ugh, ugh! … and just about all of these foods are ingredients in commercial kibbles. I’ll tell you later about a study on GMOs in pet foods. And don’t forget about your horses, rabbits, goats and any other life form exposed to glypho-Satan! [Related] Is your dog eating GMOs? He shouldn’t be! Click here to find out more. You’re probably getting the message already, but I want to tell you more about some of the dangers of widespread glyphosate use. In 2010, the World Health Organization categorized glyphosate as a “probable carcinogen”. Of course Monsanto, the company responsible for Roundup, disputes this conclusion. They say there’s no evidence linking glyphosate to cancer and they claim it’s non-toxic to people and pets and safer than table salt. Well, that’s ALL of us! Glyphosate is everywhere in our environment. It’s in the food we eat, the water we drink and the air we breathe, so we’re all “swallowing” it in small amounts constantly … you can’t avoid it! Because we can’t effectively detox glyphosate, it accumulates over time in our tissues and of course it’s the same for our dogs. So you can assume you and your dog both have it in your bones, intestines, livers, spleens, kidneys, muscles … and mothers have it in their breast milk. Testing in my home of two humans and one dog showed it in all of our urine. Ugh! According to the World Health Organization, 1 in 4 people die from diseases of air, water, soil pollution, chemical exposures, climate change, ultraviolet radiation – all from human activity. Here’s one study discussing the links between glyphosate and many chronic diseases. And it’s the same for your dog. These are some of the top diseases that kill dogs. I don’t think it’s a coincidence that there’s a lot of overlap with the list of human diseases linked to glyphosate. Cancer: nearly half of dogs over 10 get cancer. Kidney failure: the second killer of dogs today. Glyphosate has been linked to more than 40,000 deaths from kidney disease in farm workers in Sri Lanka and El Salvador. Liver disease: glyphosate blocks detox so the liver, as the major detox organ, will be harmed. And if your dog’s liver’s not healthy, his overall health will suffer too. Seizures: glyphosate affects brain function in humans and it’s the same for dogs. As well as seizures, dogs exhibit ADD-like disorders like an inability to focus or extreme anxiety. Gastrointestinal disease (like bloat or irritable bowel syndrome): glyphosate destroys “good” bacteria, so it’s not surprising that dogs increasingly suffer from digestive issues. It also compromises the “tight junctions” between cells in our gut – leaving the way open for leaky gut syndrome. Dogs are exposed to glyphosate just as much as we are … or more so, as they’re running around barefoot on glyphosate-contaminated soil and grass! And unless you’re feeding your dog 100% organic food, he’s eating glyphosate in his meals! Most kibbles contain GMO ingredients like corn, soy and beets. Check out the foods that researchers Anthony Samsell and Stephanie Seneff analyzed. Every pet food they tested contained glyphosate. They only tested a few products but if you’re feeding a non-organic commercial dog food, it almost certainly contains glyphosate. So … what can you do to help keep your dog healthy? 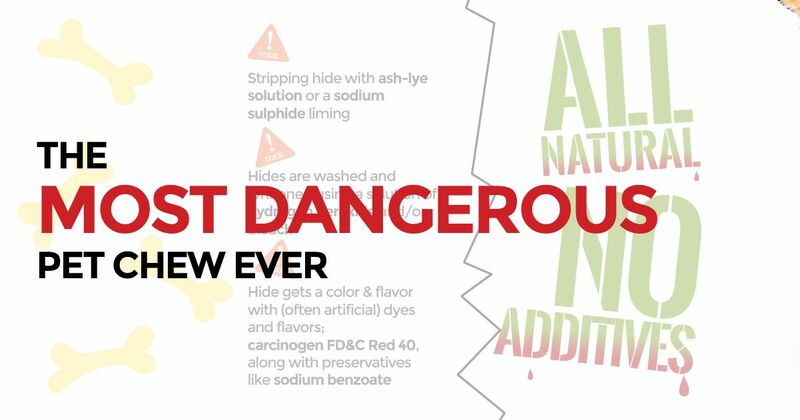 As I promised earlier, here’s how to protect both you and your dog from the harmful effects of this toxic ingredient! Don’t use herbicides (especially Roundup) or pesticides in your yard. Try to politely educate your neighbors about the risks so they stop using them too! Avoid parks, lakes, schoolyards, golf courses or other areas that have likely been sprayed with herbicide. Do your research. Ask public officials what they spray at your favorite dog park. Give your dog regular detox baths. Feed your dog fresh foods, buying organic whenever you can. Sure, it’s expensive, but not compared to losing your dog at 6 years old or spending $10,000 on vet bills trying to save his life. Remember … glyphosate doesn’t wash off the food. It’s IN it … so again, buy organic whenever you can. 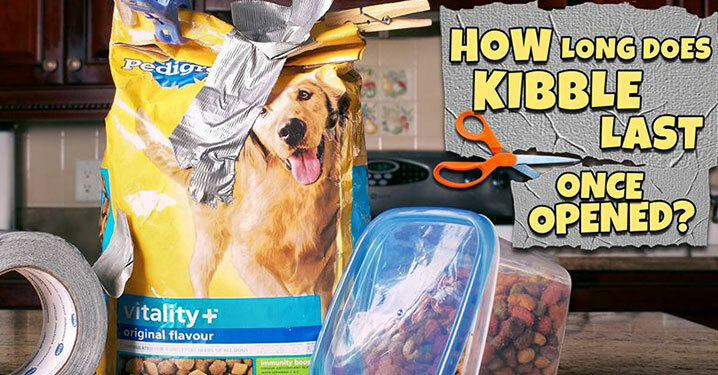 Avoid commercial kibbles and canned foods. Feed fermented foods like sauerkraut or sauerkraut juice to help heal the gut. Probiotics – don’t spend extra for more billions of CFUs, but rotate different products that provide different bacteria families. Here are some options: Love Bugs, BioDophilus-Fos, Saccaromyces boulardii, or Nutrition Now PB8. Give as a bedtime treat on a spoon of yogurt. Fulvic and humic acids: these soil based supplements can help heal and neutralize glyphosate damage. When you buy a supplement made for humans, assume the dosage is for a 150 lb person and adjust it for your dog’s weight. If you buy a product made for dogs, follow the label directions. Glyphosate is a scary substance that’s everywhere. It’s impossible to avoid glyphosate exposure completely … but you can take these actions to minimize its damage to your dog … and yourself!